Welcome to the December 2010 Actrix Online Informer. And so we bring to a close the first year of the second decade of the third millennium. Because so many Internet news stories now revolve around Facebook and sites like Twitter, we've added a new Social Media section to Cyberspace News Snippets. Last month's featured YouTube video was of a woman who seemed to be talking on a cell phone in a film from 1928. As regular reader Cliff Pratt pointed out, the link we provided now leads to the warning: "This video has been removed as a violation of YouTube's policy against spam, scams, and commercially deceptive content." Not sure why that is, as you can still watch the video on YouTube here. This month's YouTube video is called Way back home and features Scotsman Danny MacAskill travelling from Edinburgh to Skye on a BMX bike. Most of the journey seems to be on one wheel or bouncing off large objects, and a lot of the time he's airborne. It's easy to miss the nice Scottish scenery as it's hard to take your eyes off Danny. It's that time of year again; time to untangle those Christmas lights, bake that boozy fruitcake, and send those Christmas cards. It�s also time to fill those Christmas stockings and, because deciding what presents to buy can be a real challenge, we�ve decided once again to make the job a little easier. Here's another hopefully helpful round up so you can find the perfect gifts online. The last thing a guy wants to unwrap on Christmas morning is a hair straightener (well, most guys) or another pair of socks. And she probably doesn�t want a fishing rod or Rambo DVD collection, so why not check out these sites that are sure to contain the most gender-perfect gifts. When shopping online for anyone, no matter what time of year, you can�t go past this site. There are a number of ways to find that perfect gift. You could use the automatic finder, if you're struggling. This lets you select whether the gift�s for him or for her. Then you select the occasion and how much you�re willing to spend, and the finder find the present for you. You can also find a present according to the personality of the person you're buying for. There are a number of different personalities available. You can choose, from activists to sports fans to trend-setters and geeks. If you still haven�t found that perfect gift, try RedBalloon�s selection of Christmas gifts. RedBalloon is a New Zealand company specialising in experiences rather than physical gifts. So while you won�t be able to wrap these up and fit them under the Christmas tree, there�s no doubt you�ll find something here that�ll go down a treat. If you�re looking for him you could buy a Holden V8 race experience, or enrol him for his first class at Stunt Car Drive School. If you�re looking for her, you could get a harbour cruise, a spa treatment or a fudge tasting indulgence kit. And again there�s a calculator that lets you find a gift that fits your price range. So you have a present for him and a special something for her, but now what about the kids? They�ve been looking forward to Christmas morning all year, and the last thing you want to do is disappoint, so check out these sites and you�ll be sure to find them what they want! www.kidslovegifts.co.nz: This site is nicely spaced out so it�s easy to find the kids something they really want, that won�t end up forgotten under the bed by Boxing Day. You choose a category of presents according to Mr or Ms Junior's age and gender, and you get given a whole selection of presents that suit. There�s something for everyone too. Gift choices range from cars and crafts to games and gadgets. The only negative for this site is that it mainly focuses on pre-teens, so check out the next link if you�re looking for something for the 'bigger kids'. www.squidoo.com/christmas-gifts#module12444551: At Squidoo they've put together a handy selection of what they believe to be the top ten Christmas gifts for different groups of people of all ages, ranging from babies right through to Mum and Dad. There are also family gifts and experiences. You really don�t have to go any further than this site for all your Christmas shopping needs. Present for him? Check. Present for her? Check. Presents for the kids? Check. But you�re not done yet. Perhaps one of the hardest people to buy for is that someone who already has everything. There�s little worse than giving someone a book they�ve just read or a gadget they already have. So here are a few sites that are bound to have a cool present most people have never heard heard of. At sites like these you can buy solar-powered iPod chargers, beanies with built-in headphones, and video-recording sunglasses. There�s even a golf-club that doubles as a drink dispenser! These sites are fun to browse for the many weird and imaginative present ideas, and if you still can�t find the perfect present on one of these sites then its definitely time to give up. So there you have it. No more elbowing fellow shoppers as you hunt for bargains. No more crowded shopping malls and expensive parking. This year, why not do all your Christmas shopping online from the comfort of your favourite swivel chair. But lastly, remember that online shopping, as great as it may be, is not without a certain amount of risk. Some tips for safe shopping online in New Zealand can be found at: www.nzs.com/new-zealand-articles/business/safe-shopping-online.html. Recently a customer wrote and asked, "There has been a lot of recent publicity regarding the move from Ipv4 to Ipv6 for internet addressing. I think your readers would be interested in knowing how Actrix is approaching the IPv6 problem and what changes we users will be required to undertake." We couldn't agree more, especially when one considers that some amongst the media have been beating this up into far more of a story than it really is. It's almost like Y2K all over again. So what's all this about? To make it as easy as possible, here's the problem and what's being done about it in simple questions and answers. First you need to know what an IP address is (or have a rough idea). It's not the same as a web address but it's similar. When you type www.google.com into your browser, the server you're connected to actually translates that string of letters into a set of four numbers separated by a dot (.). They have to do that because computers don't speak in words; they speak in numbers. Every device that is plugged into the internet has a designated and unique IP address (including the one you're reading this on) that sets it apart from every other device. Think of your IP address as your street address; before another computer can communicate with you via the internet, it needs to know how to find your computer, and the numbers in your IP address will tell it where and how to do that. IP stands for Internet Protocol. "Protocol" means the rules that govern how information is shared and distributed via the internet. Currently, the dominant protocol on the internet is IPv4 (Internet Protocol version 4). In IPv4, IP addresses consist of four numbers. For example, Google's IP address is: 74.125.224.18. Type that directly into your browser and it will take you to Google. With IPv4's structure, there are a possible 4.3 billion different IP addresses. When IPv4 was developed in 1981, that number was thought to be more than enough to last a very long time. However, due to the explosive growth of the internet and the popularity of social networking and blogging which developers could not have anticipated, we've already used up 4.29 billion of the possible 4.3 billion addresses. According to one online IPv4 exhaustion counter, there will cease to be any new IPv4 addresses on 2 March 2011 – but that's probably a bit extreme. There are some who anticipate that the exhaustion of IPv4 will be the end of the internet, that it will collapse in on itself and we�ll all return to the Stone Age. Others are saying that the internet will slow down and become impractical to use. So why are you saying I should keep calm? The impending exhaustion of IPv4 has certainly come as no surprise. It's actually been anticipated since the late 1990s. IPv4 is currently being replaced by a new set of internet protocols called IPv6, and where IPv4 had 4.3 billion possible combinations, IPv6 has billions of billions of combinations. Yes, it's true there are some glitches. One problem is that IPv6 addresses can communicate with IPv4 addresses, but IPv4s cannot communicate back to the IPv6s. Technically, this means that parts of the internet could become inaccessible unless you are running IPv6 compatible software. However, there is still no reason to fear. 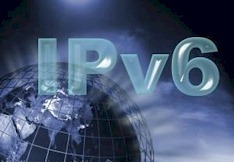 IPv6 developers have already created patches that make IPv6 addresses compatible with certain IPv4 software. What is Actrix doing about this? We have been working on IPV6 implementation for some time, and we believe we have things in hand. The media are sensationalising the issue a little and there's really no need for a mad rush. Actrix is certainly not going to run out of IPv4 addresses any time soon, and we will be ready in time. In terms of operating system compatibility, IPv6 has already been implemented on all major operating systems in use in commercial, business, and home environments. Right now not much! Eventually we will all have to upgrade our internet broadband routers to be IPv6 compatible, but that�s still in the future. You could rush out and do that now, but there's no point unless you're already doing some whiz-bang stuff that requires the additional features of IPv6. By the time you need to upgrade, advances will have been made. Why miss out on new features by buying unneeded technology too early? So to sum up, yes, IPv4 addresses are running out, and while there are certain issues facing the transition between IPv4 and IPv6, there�s nothing that isn't being worked out. Actrix customers don't need to worry, and we'll keep you informed of anything you need to do, in plenty of time. http://weeklyworldnews.com – Aren't you bored with reading the usual news sites? All you get is John Key, the Middle East, the global economy and all that "old hat". Do you hunger for real news, and are you convinced the powers that be aren't telling us everything? If so, then Weekly World News is for you. The people on that ship in the Mexican Riviera were captured by aliens. Megan Fox is a man. We're about to be over-run by a race of lizard people from another planet. I knew it! www.clothesoffourback.org � For US$850 you could own Cate Blanchett's handbag. Just US$225 might get you a T shirt worn by Adam Sandler. The Clothes Off Our Back Foundation hosts charity auctions showcasing today's hottest celebrity attire. Items are put up for bid to the public with proceeds going to benefit children's charities. Find your favourite personality from a very big list, choose and item and make a bid! www.mapcrunch.com – MapCruch allows you to randomly teleport to a street view of any location in the world. Click the green "Go" button to jump. The map to the left tells you where in the world you've landed and the street address appears to the bottom left of the street view. One minute Taiwan, the next Switzerland! If you prefer, you can select a country or region to the right and limit your jumps to there. You can even de-select country roads if you want to be teleported to towns or cities only. www.searchenginepeople.com/blog/incredible-google-bombs.html � A Google bomb is usually a co-operative effort whereby a whole lot of people use the way Google works (i.e. ranking importance according to how many others link to a page using the same anchor text) to sabotage or malign someone or something. An example was where a whole lot of people linked "Miserable failure" to George W Bush's website so that he came up when those words were entered into Google. Here are many more examples. www.edf.org/page.cfm?tagID=1540&bottomOfChart – A lot of people really enjoy eating fish and other seafood, but we all know that supplies of some species are running low. This website gives an excellent overview of what to look for in terms of sustainability, when choosing what fish to purchase. The menu to the left lets you select by name of fish and also has links to a pocket guide you can take with you to the supermarket. www.freepik.com/ – Now this is helpful and useful. Ever grabbed an image of the Internet (or wanted to) for your own personal use in a way that might be infringing copyright? Freepik is a search engine that sources quality images that are offered as free resources at commercial sites. It's a great way to find images you can safely use without having to pay. The sites offering the free resources also benefit, because Freepik directs you to them directly so you can collect the image. www.paleofuture.com/ – Those of us over 40 will remember how when we were kids we thought we'd all have personal jetpacks by the year 2000, that robots would do the cleaning, and that we could have our meals in a pill. This chap collects stuff from the past that predicted futures that didn't quite eventuate. There are several menus on the page, but they're not organised all that well. You can browse by decade on the left menu, and if you scroll way down on the left there's a monthly archive. Over on the right hand-side (and quite a way down) there's a menu for browsing by topic; i.e. flying cars, space travel, weather control, etc. http://theoatmeal.com/ � I'm not quite sure how to describe this website other than it's quirky and quite fun. This is the best and most entertaining set of instructions on how to use semi-colons I've ever read, for example. There's a wide variety of instructions about all sorts of things, mostly in comic form. The rest of it just seems to be whatever's on this guy's mind or random collections of interesting facts. Definitely not your usual blog. http://web.spotcoolstuff.com/bizarre-amazon-oddities � Apparently you can buy all sorts of things on Amazon, including books, groceries and mp3s. But Amazon also has a surprisingly large selection items that "defy categorisation, from the odd to the downright wacky." Here�s our look at some of the weirdest items for sale and the solutions they provide to some of life�s most common problems. Items range from UFO detectors, to uranium ore, to fresh whole rabbits. www.ent.iastate.edu/misc/insectsasfood.html � Are you looking for something a little more interesting to serve up at dinner parties? Iowa State University�s Department of Entomology has recipes for cooking up everyday insects. Options include banana worm bread, chocolate chirpie chip cookies and mealworm fried rice. Surprise your guests, but be warned. "The Department... is not responsible for gastric distress, allergic reactions, feelings of repulsion, or other problems resulting from the ingestion of foods represented on these pages." Aussie Groggle goes down in Google fight: To Australian entrepreneur Cameron Collie, Groggle seemed the perfect name for a website comparing the price of alcohol, or 'grog' as it is known Down Under, at nearby bottle shops. Web goliath Google, however, felt differently. Click here for more. Huffington Post launching 'Divorce' section: The Huffington Post, the popular news and opinion website, is launching a 'Divorce' section on Monday, offering dating and parenting tips, financial and legal advice and more for people whose marriages have ended. Click here for more. Woman must pay $1.8m for downloading 24 songs: A US jury has ordered a Minnesota woman to pay US$1.5 million (NZ$1.88m) for illegally downloading 24 songs in a high-profile digital piracy case. Click here for more. WikiLeaks cable release 'international attack' - Clinton : The leak of secret US documents - including an order to spy on UN officials including Helen Clark - is an attack on the international community, Secretary of State Hillary Rodham Clinton says Click here for more. Benefits of broadband questioned: The Australian federal government has been accused of misusing research to build the case for the national broadband network in an international study that finds the claimed benefits have been "grossly overstated". Click here for more. Stars go offline for charity: Lady Gaga, Justin Timberlake, Usher and other celebrities have joined a new campaign called Digital Life Sacrifice on behalf of Alicia Keys' charity, Keep a Child Alive. The entertainers plan to sign off of social media platforms like Facebook and Twitter on Wednesday, which is World AIDS Day Click here for more. Internet movies drowning out the DVD: Netflix, the United States company that rents out movies and TV shows, is preparing for the day when getting DVDs by mail is as old-fashioned as going to the video store. Click here for more. The Beatles sell 450,000 songs on iTunes: Apple says people snapped up more than 450,000 copies of Beatles albums plus two million individual songs during the Fab Four's first week on sale through iTunes. Click here for more. US launches massive crackdown on torrent sites: US authorities have shut down dozens of websites offering counterfeit goods and pirated music, five months after a crackdown on sites offering movie downloads. Click here for more. Broadband in Europe speeding up: Broadband speeds in Europe have risen sharply in only a year, suggest official EC figures. Click here for more. PC 'rebuilds Rome in a day' using pictures from Flickr: 3D models of famous landmarks such as Rome's Colosseum have been recreated using millions of pictures from photo-sharing websites such as Flickr. Click here for more. The rights and wrongs of digital books: The rising popularity of e-books highlights many modern dilemmas, says Bill Thompson Click here for more. Christmas function photos: funny or dangerous? : Today officially heralds the start of the Christmas party season - and new dangers now lurk beyond the traditional overindulgence on alcohol and the personal safety of employees. One issue some organisations will need to deal with is photos. Click here for more. Naked photo sends jilted lover to jail: A jilted lover has made legal history by being jailed for posting a photograph of his ex-girlfriend naked for millions of Facebook users to see. Click here for more. Queen's Facebook page littered with abuse: We are not amused. Just four days after its debut, the British Monarchy's Facebook page has been peppered with abusive comments, forcing the site's moderators to launch a deleting blitz. Click here for more. Woman illegally fired over Facebook remarks: A Connecticut woman who was fired after she posted disparaging remarks about her boss on Facebook has prompted a first-of-its-kind legal case by federal authorities who say her comments are protected speech under labour laws. Click here for more. Stop the drunk-posting: An American internet security firm has devised a way of stopping you unsober-social networking. Webroot has invented the Social Media Sobriety Test, a free plug-in for Firefox web browsers. Click here for more. YouTube users add 35 hours of video every minute: YouTube says that 35 hours of video are being uploaded to the video-sharing site every minute, up from 24 hours per minute in March. Click here for more. Facebook moves closer to trademarking 'face': Facebook has moved a step closer toward trademarking the word "face" – at least in certain contexts. Click here for more. Facebook makes people more social: study: Contrary to common belief social media websites such as Facebook do not weaken personal ties, they strengthen them in unique ways for different age groups, according to a new study. Click here for more. Man fights twitter terror conviction: A man who was convicted and fined for tweeting that he planned to blow up an airport will take his case to Britain's High Court in a test of the limits of free speech on the Internet, his lawyers said Monday. Click here for more. 'Hatred' fuelled secret stealing from Farmville maker: Online social networking game king Zynga said a settlement was reached with a rival accused of stealing its secrets and coaxing employees to betrayal. Click here for more. Israeli army catches 1000 draft dodgers on Facebook: Around a 1,000 Israeli women who tried to avoid military service by pretending to be religious have been caught out through their Facebook accounts, an army spokesman said. Click here for more. KKK member admits Facebook vandalism: A senior member of the Ku Klux Klan has reportedly admitted vandalising several Facebook tribute pages for dead Australian teenagers, and says he does it because no one can stop him. Click here for more. Facebook alternative Diaspora goes live: An open source alternative to Facebook – called Diaspora – has gone live. Click here for more. Cyber crime stats 'tip of the iceberg': Australian organised crimebusters have warned that cyber crime is exploding into a new dimension that reaches from multibillion-dollar global money laundering down to personal Facebook accounts and the iPhone boom. Click here for more. Obama may toughen Internet privacy rules, report says: The Obama administration is reportedly considering plans to step up policing of Internet privacy issues and to establish a new position to direct the effort. Click here for more. US warns on dating site scammers: The US government consumer protection agency has warned Americans to be on the lookout for online dating scams. "Scammers sometimes use online dating and social networking sites to try to convince people to send money in the name of love," the Federal Trade Commission said. Click here for more. Facebook news feeds beset with malware: One fifth of Facebook users are exposed to malware contained in their news feeds, claim security researchers. Click here for more. Amazon sells paedophiles' guide: Amazon.com is selling a self-published guide that offers advice to paedophiles, and that has generated outrage on the internet and threats to boycott the retailer. Click here for more. Street View goes bizarro in Germany: Two images - one of an apparently naked man sitting in the back of his car, and another of a fake birth on the side of the road - have been the subject of frenzied online speculation, as anti-privacy vandals pelted the homes of Germans who opted out of the service. Click here for more. E-commerce about to go ape: In the wilderness that is e-commerce in New Zealand, TradeMe is the 900lb gorilla suddenly facing challenges from all sides. Click here for more. Grandpa sued over grandson's downloads: A 67-year-old man who says he doesn't even like watching movies has been sued by the film industry for copyright infringement after a grandson of his downloaded four movies on their home computer. Click here for more. Online dating services accused of fraud: "Hiding behind Match.com's portrait of online success is a very big, very dirty secret," the Los Angeles lawsuit claims. Click here for more. Firefox gains ground on IE: More than one out of 10 surfers use Firefox as a browser, according to a study by web analytics firm OneStat.com. Click here for more. Man flogs debt on eBay: SAVE TIME - NO REASON TO TRUDGE THE STREETS/INTERNET WONDERING HOW TO GET YOURSELF INTO DEBT, IT HAS BEEN TAKEN CARE OF FOR YOU. Click here for more.